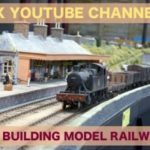 Here are the winners of the recent London Festival of Railway Modelling competition here on MRE. 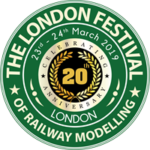 who will each receive a free ticket to the London Festival of Railway Modelling. Tim, Phil and Klaas have been notified and will be sent tickets shortly. There is a forth winner who has been notified but hasn’t yet replied so I’m waiting on their confirmation and address. If you didn’t win this time, watch this space as more competitions will be announced soon.